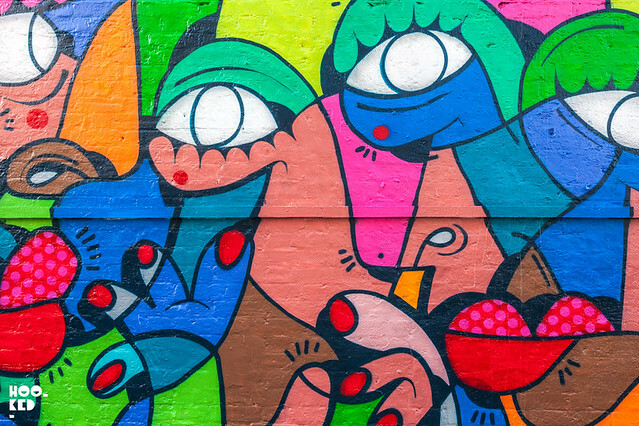 Born in the early 80's in Brindisi, South of Italy and currently based in London, Italian street artist Hunto took to the streets of East London on Friday to create this new vibrant mural. 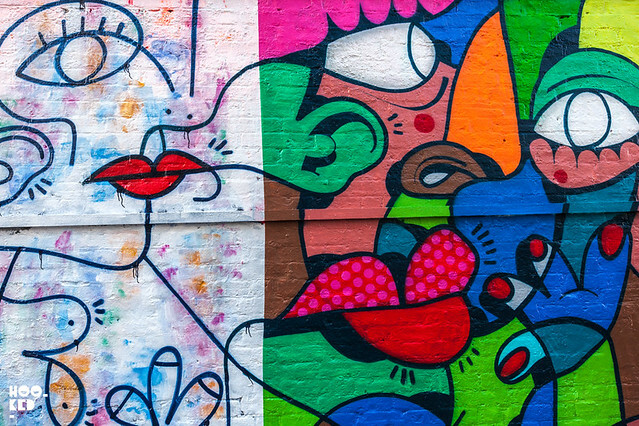 The artist recently completed work on a shop front on the corner of Brick Lane and Fashion Street with Lollipop gallery adding to his expanding collection of murals on hoardings, walls and shutters that are to been seen across London, from Camden to Sydenham and beyond. 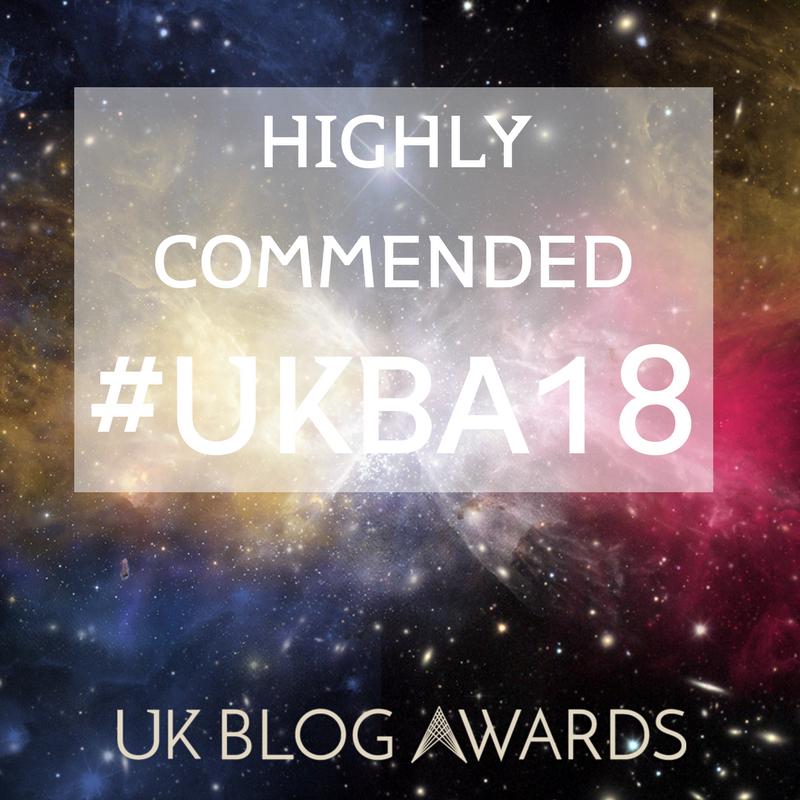 His signature work with it's strong cubist echoes is instantly recognisable with his palette of strong primary colours, bold shapes and the movement of the characters within the work. 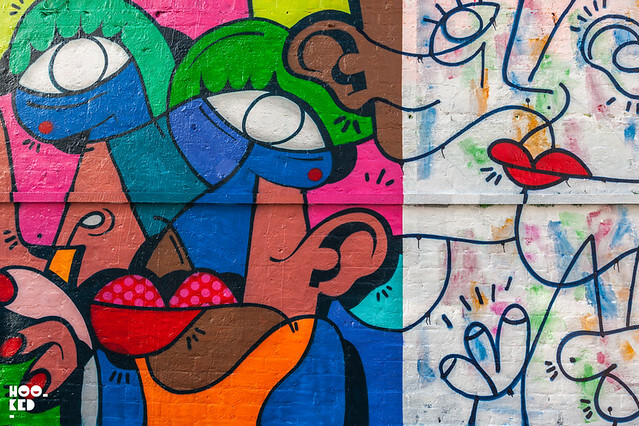 This new mural is a stone's throw from Shoreditch Overground Station on Sclater Street and features a split mix of black and white line work along with solid colour work. Should you want to view the work in person we suggest doing so as soon as you can, works on this stretch of wall have a very short lifespan, not quite at the turn around levels of the walls in Leake Street but not far behind. 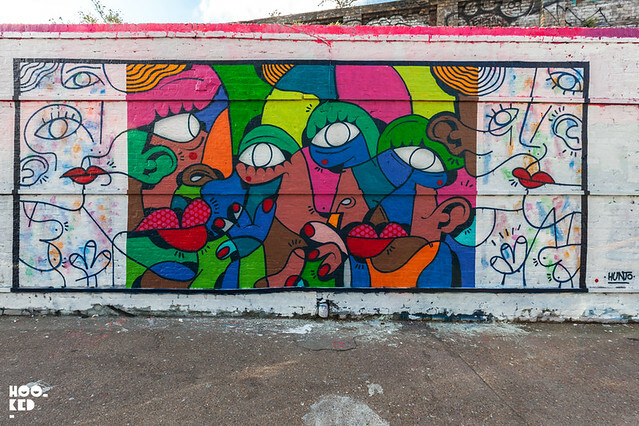 Hunto's completed mural located on Sclater Street in London. Remi Rough Walthamstow Mural for PAINT YOUR LONDON Street Art Festival. 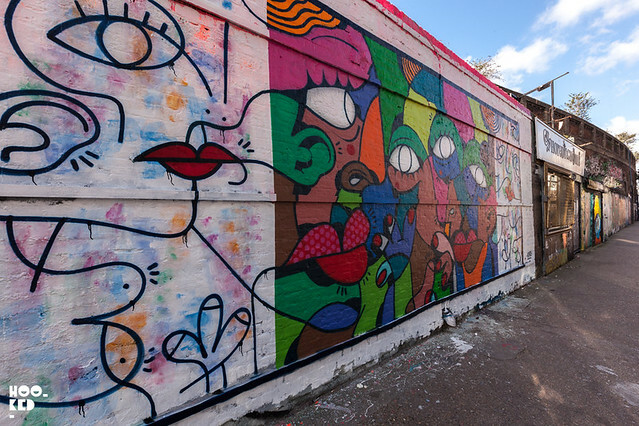 PAINT YOUR LONDON — Street Art Festival launches in Waltham Forest.